We head to California this weekend for one of IndyCar’s ‘crown jewels’ – the Toyota Grand Prix of Long Beach. It may only be race 2 of the 2017 IndyCar series but a number of teams and drivers are already under pressure. Here’s my run down of who needs a big performance in Long Beach. AJ Foyt’s eponymous team rightly expects big things from 2017. The shift to Chevrolet power and aero, an influx of new engineering talent plus 2 new drivers was supposed to provide a step-change in performance. The revised AJ Foyt Racing promised much in 2017. Switching to Chevy was expected to give AJ Foyt Racing an instant performance boost at most tracks. Post-race at St Petersburg, things were looking a lot less rosy. And the pressure is on for Long Beach. Do you want to tell AJ the Honda package might actually be better? The gains made by Honda over the winter appear to have diminshed the value of the Chevy switch. Instead of vaulting up the order, the Foyt team found themselves in familiar, lowly positions through practice, qualifying and the race in St Petersburg. By contrast Chip Ganassi Racing – who dropped Chevy for Honda – were near the front and finished on the podium. 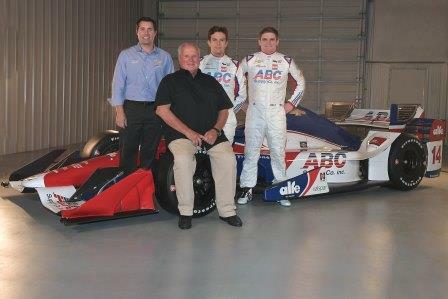 Plus Honda stalwarts Andretti Autosport and Schmidt Peterson stepped up a gear too. Both Conor Daly and Carlos Munoz struggled in St Petersburg. Pre-season testing suggested they might as the upswing in performance from Honda teams transferred to race day. Daly in particular had a nightmare first race back with AJ Foyt. The American will undoubtedly be feeling pressure already after chasing (and not finding) speed all weekend in St Pete. Foyt Racing needs to get back on terms in Long Beach. The races come thick and fast now all the way to the Indy 500. Without some momentum – and confidence – from Long Beach, their whole season could start to unravel. The former IndyCar champion was definitely looking forward to the season opener. 2017 offered a fresh start. No niggling concusion issues like last season. Power looked like a man ready to win back his title following a strong finish to 2016. The IndyCar ‘gods’ clearly had other ideas in south Florida. Going to Long Beach Power is already 40-points behind in the point standings. Both of his (most likely) championship contenders – Pagenaud and Dixon – made the best of an unfortunate full-course yellow to make the podium. The return of mad Will Power? Power has a history of losing his focus when things go against him. Long Beach is a chance to stop that happening in 2017. The Australian has every reason to be hopefully as we head to a street circuit he has secured 5 top 5 finishes at in 9 visits (including 2 wins). Expect to see a very pumped-up and motivated Penske driver this weekend. I admire Kimball for his tenacity in getting to IndyCar in spite of his diabetes. However as an IndyCar driver he simply has not taken advantage of being at Chip Ganassi Racing for 6 seasons. Instead he has become better known for overly aggressive and, at times, downright mindless driving. St Petersburg was another fine example as Kimball put himself and Graham Rahal out of contention. On lap 1. Actually, before the race had even got to completing half of lap 1. Thankfully for Kimball his fellow CGR pay driver Max Chilton carried his underwhelming form of 2016 in to the first race of 2017. Chilton’s 16th place finish took some of the spotlight away from Kimball who had shown signs of pace but came up short in terms of race craft. Despite that the pressure is on Kimball. He is after all a former IndyCar race winner. His potential from 2013’s Mid-Ohio victory and subsequent top 10 placing in the point standings has not been realised. Being brutally honest, if the IndyCar sponsorship market was more buoyant, CGR would not be as reliant upon Kimball’s funding from Novo Nordisk. Kimball needs a big performance at Long Beach, if only to temporarily silence critics like me. Thanks to our friends at Mobil 1 The Grid, preview the next round of the IndyCar and IMSA championships in the company of Tony Kanaan, Josef Newgarden, Spencer Pigot and IMSA Corvette racer Oliver Gavin.